1. 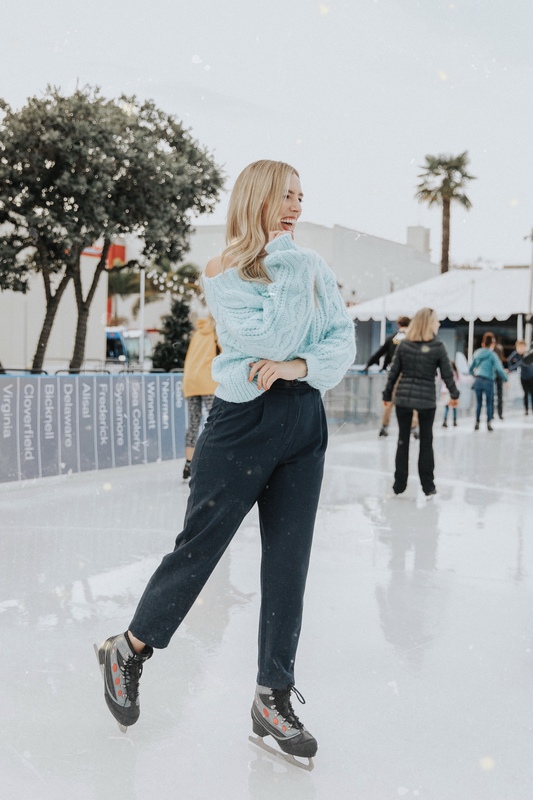 Channel your inner Michelle Kwan at Downtown Santa Monica’s ICE. 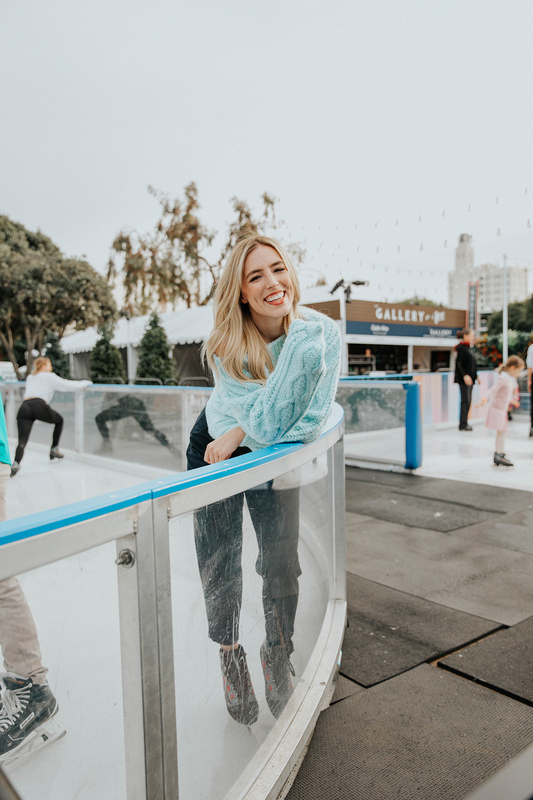 Ok so you don’t have to be Michelle Kwan to enjoy ice-skating – Ice at Santa Monica is a family and friendship affair welcome to all. This 8,000 square-foot ice-skating rink features all the makings for a perfect holiday themed afternoon or evening. Aside from skating, Ice also offers delicious bites from local restaurants, holiday movie screenings, and so much more. Between the festive lights, the holiday music, the laughter and smiling faces – the happiness at Ice is simply contagious. Skate rental and all-day admission is just $15, and locker rentals are $5. Ice at Santa Monica is open through January 21, 2019. Something that never tires during the holiday season is a good old-fashioned light show. Granted this light show is quite modern and state of the art; a rush of joy, wonderment, and nostalgia is still guaranteed. 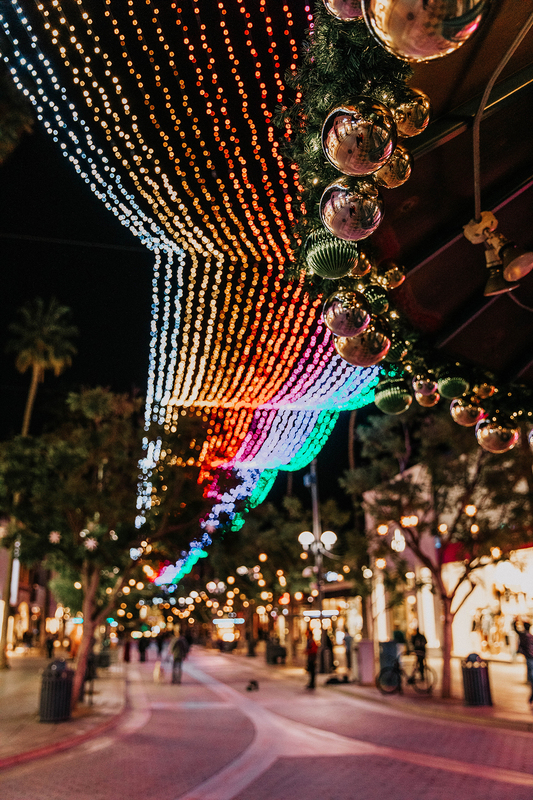 Almost every tree you see and nearly everywhere you look along the Third Street Promenade is decorated with lights, and be sure not to miss the nightly light show itself that commences every half hour between 5-10 pm. Every Wednesday night through January 16th at Ice, you and friends and family can catch a 6pm screening of holiday favorites such as A Christmas Story, Home Alone, and the Nightmare Before Christmas. Stick around after the holiday movie screening to catch an 8pm showing of a select “LA film” – described as a curation of a cinephile’s exploration of the City of Angels’ role in motion pictures. Get those red noses, light up collars, ugly sweaters, and bell adorned outfits ready because pets need pic’s with Santa too! And Santa Monica Place is making you and your little furry loved one’s Christmas wishes come true this season by having Santa stop by on December 12th and 19th between 5 – 8 pm – JUST to pose with pups and kitties. Santa will be available for photos with everyone else everyday through Christmas Eve between 11am – 8pm. Take part in the season of giving by joining a few thousand of your closest friends for the “Merriest Night of the Year in Santa Monica”. 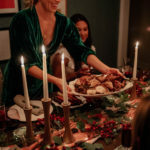 This year the annual Santa Monica Pub Crawl will be on December 8th and will feature 30 of the city’s best bars and restaurants with four unique routes. Proceeds from the night will go towards providing 100,000 meals to those in need this season at the Westside Food Bank.